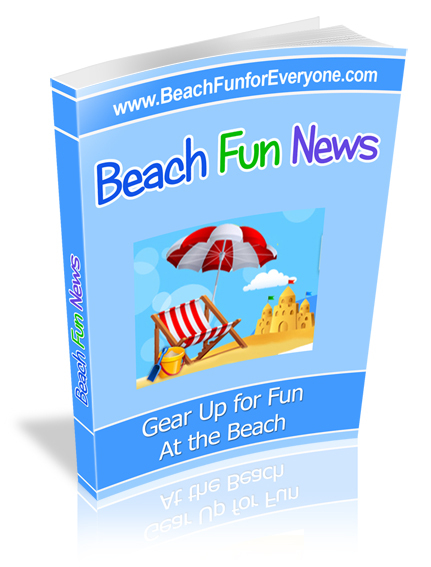 Beach Safety Signs & Tips:What Do the Colored Flags on the Beach Mean? 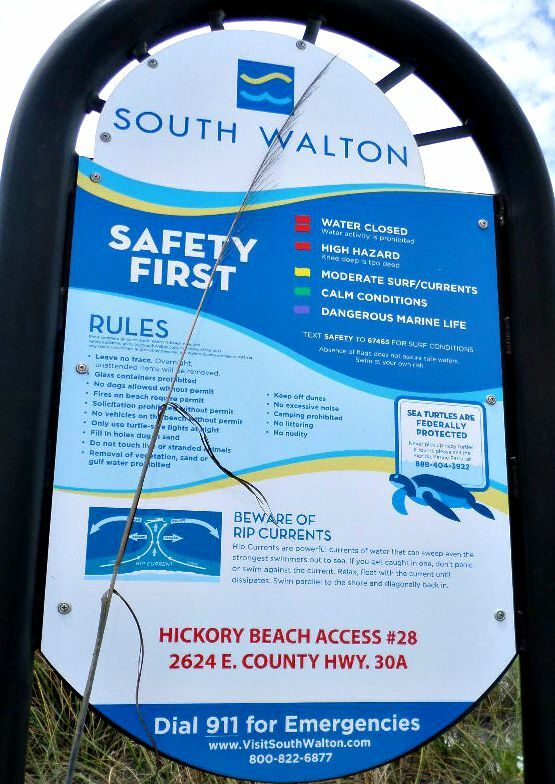 Beach safety signs are posted to help keep swimmers and wildlife safe. 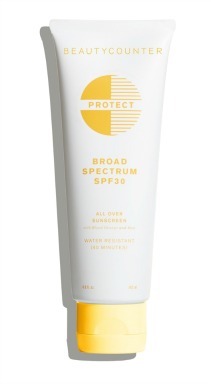 It can communicate the condition of the surf, the current location as well as the rules of the beach. This sign is posted every couple of yards on the South Walton beaches. On the right, there is an explanation for the meaning of the different colored flags. i.e a green flag means the water or surf condition is calm while a red flag means High Hazard - High Surf and/or Strong Currents. On the bottom of the sign is the location - Hickory Beach Access #28. This is the location you would provide in the case of an emergency. Other warnings can be included such as what to do if you are carried by a rip tide. Beach warning flags are posted at public beaches. 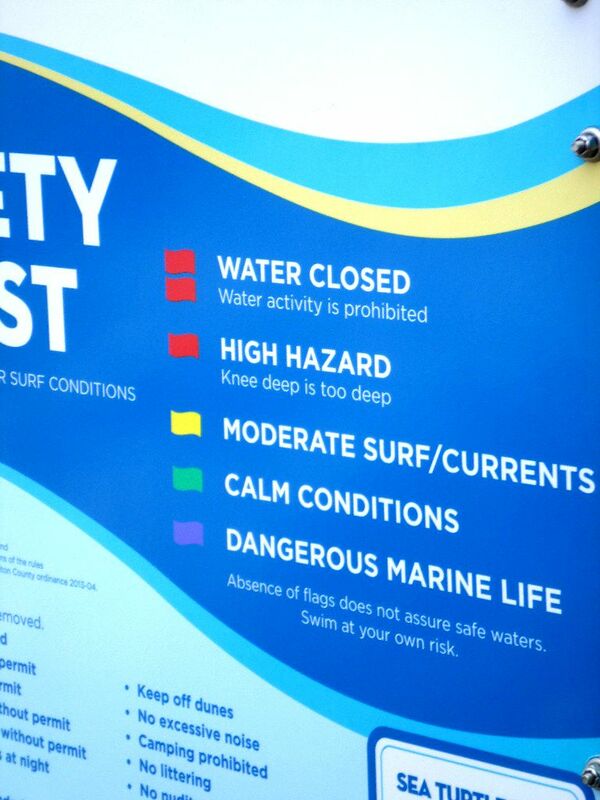 The surf conditions are monitored daily and throughout the day. 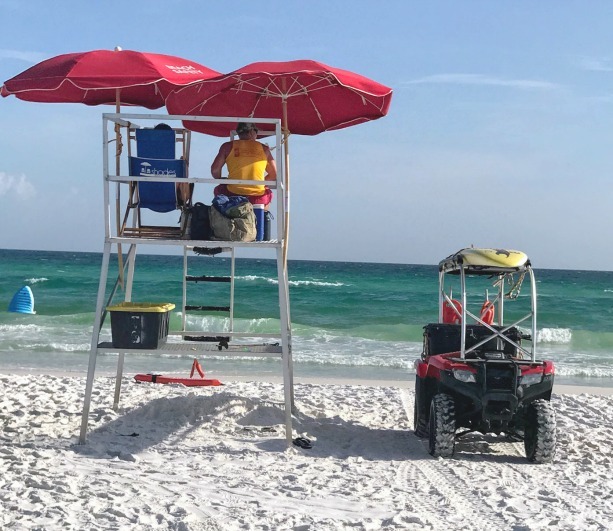 The five flag warning system will let swimmers know about the surf condition as well as if any dangerous marine life has been spotted such as jelly fish, sharks, or Portuguese Man of War. 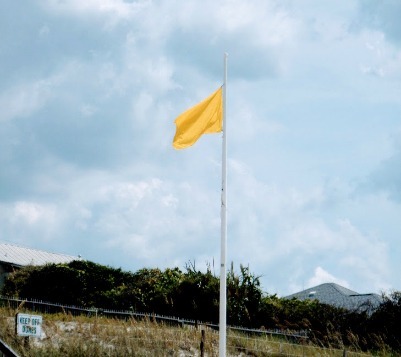 According to the Florida Department of Environmental Protection, "The beach flags provide general warnings about overall surf conditions and do not specifically advise the public of the presence of rip currents." 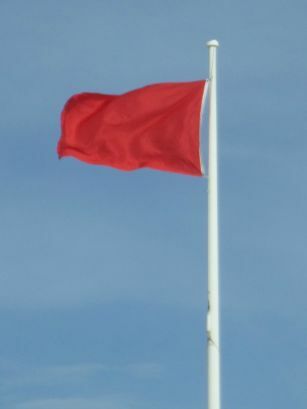 When you see a double red flag, like this one pictured, it means no one can enter the water. If life guards are present you will get a warning from them and if you continue to stay or enter into the water a sheriff may issue you a fine. The color codes on the right explain the different meanings of the flags. However, the "Absence of Flags Does Not Assure Safe Waters," states the Florida Department of Environmental Protection. They also instruct swimmers to never swim alone and do not swim at night. The beach vacation house rental we used had an iPod on the kitchen counter that displayed the surf conditions everyday and the color of the beach warning flags. 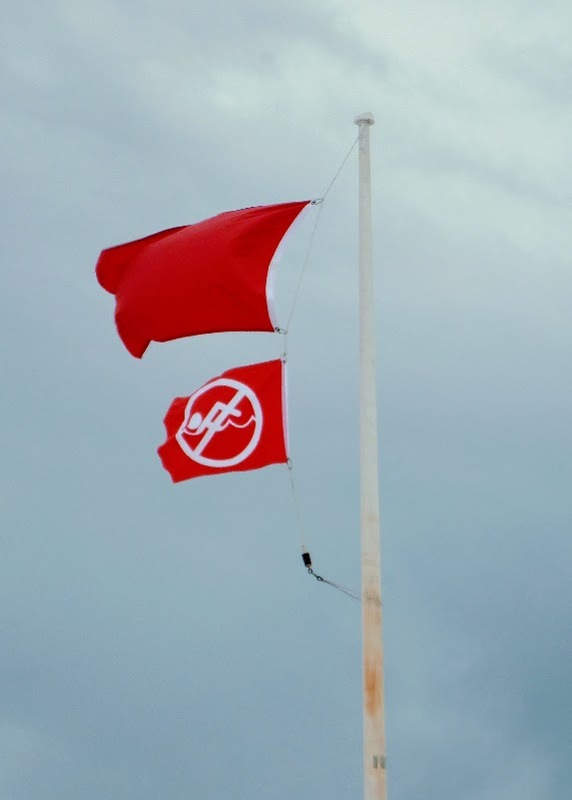 A red flag means that it's dangerous surf conditions including rip currents. 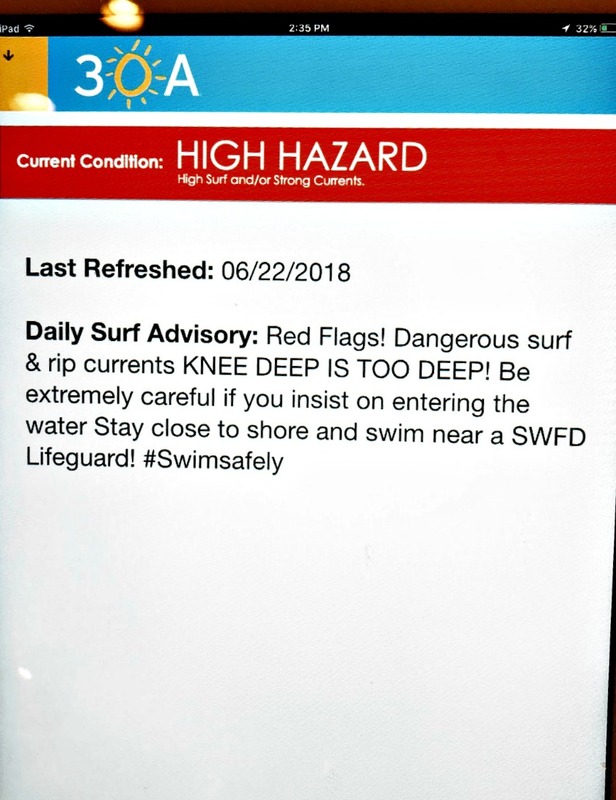 While the warning states, "Knee deep is too deep" it also instructed that if one insists on entering the water to swim near a lifeguard. Rip currents or rip tides are responsible for many deaths each year, even by strong and experienced swimmers. 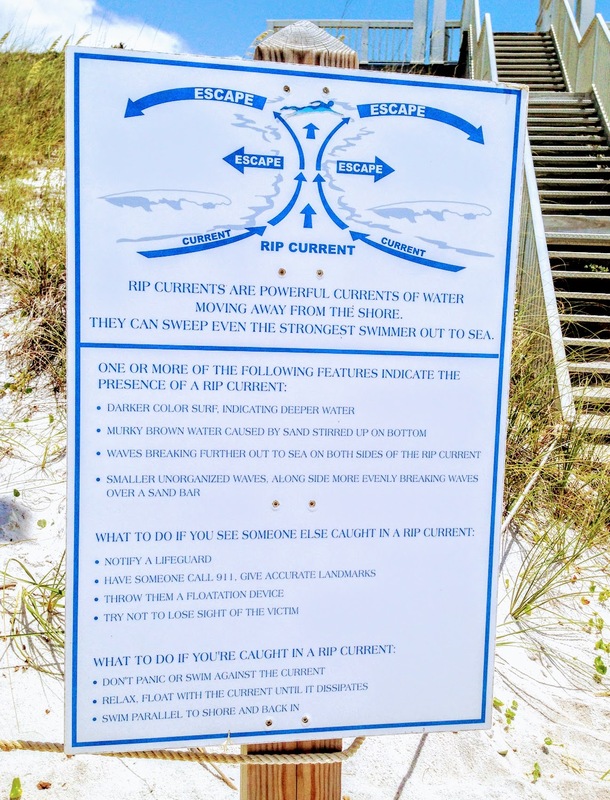 Learn how to spot a rip tide, what to do if you are caught in one and how to help someone who is being pulled out by a rip current. National Ocean Service: What Is a Rip Current?